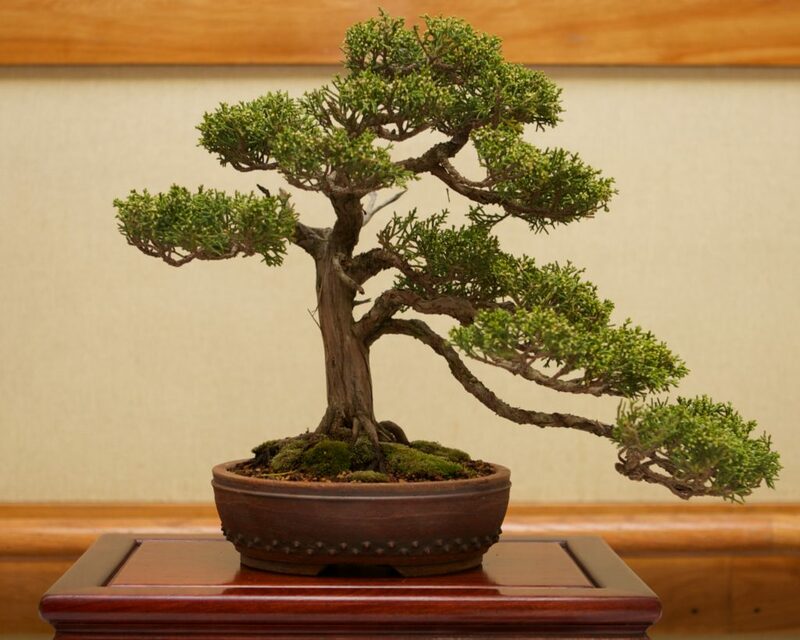 The art form of bonsai captures the grandeur and beauty of nature on a reduced scale. Similarly, naturally occurring and expressive stones that are categorized as suiseki are used to create an image. The bonsai display is the effort of a number of bonsai and suiseki clubs in the Bay Area including Bonsai Society of San Francisco, Marin Bonsai Club, and Yamato Bonsai Kai and California Suiseki Society. The bonsai exhibit has been a part of the Cherry Blossom Festival almost since its inception.